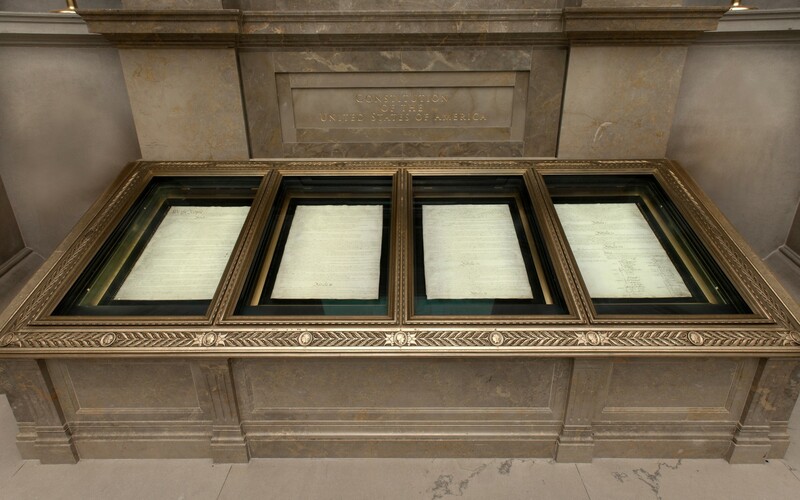 The Rotunda for the Charters of Freedom is home to the Constitution, Bill of Rights and Declaration of Independence. 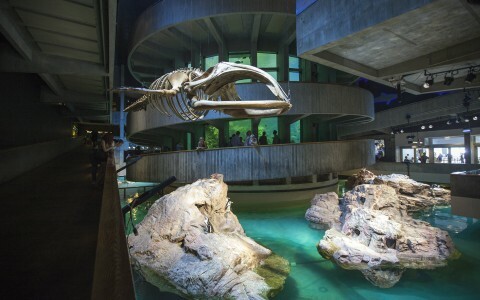 Designers Available Light used a high CRI to improve the visitor experience and meet strict conservation requirements. 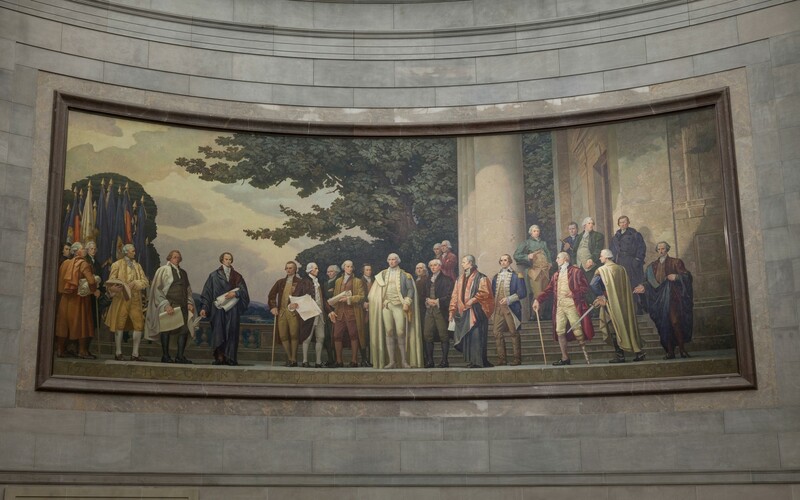 Lumenbeam Medium luminaires light the Rotunda’s two large murals from opposing sides. Mounted on the ledge, the 2850K luminaires are finished in white to blend into the background. The color temperature and high CRI bring out the colors of the documents, murals and architecture. 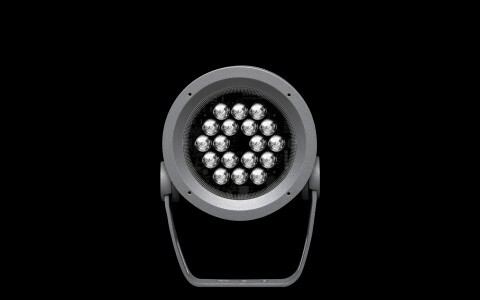 The luminaires eliminate light bleed beyond the beam angle, maximizing illuminance and cutting energy use by 84%. 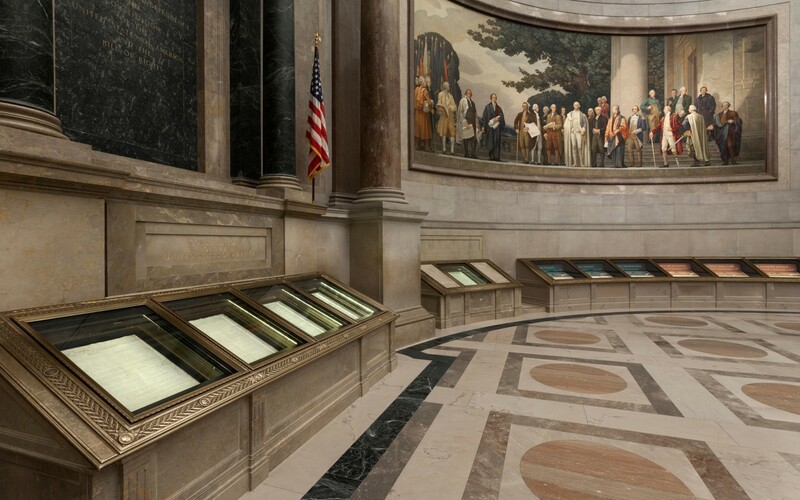 At the US National Archives, lighting designers Available Light used Lumenpulse luminaires with high CRI to enhance the visitor experience, meet strict artifact conservation requirements and reduce energy consumption. We determined that a custom 2850K color temperature and a CRI above 93 were critical…and Lumenpulse were the only company that could customize luminaires to meet these strict performance criteria. 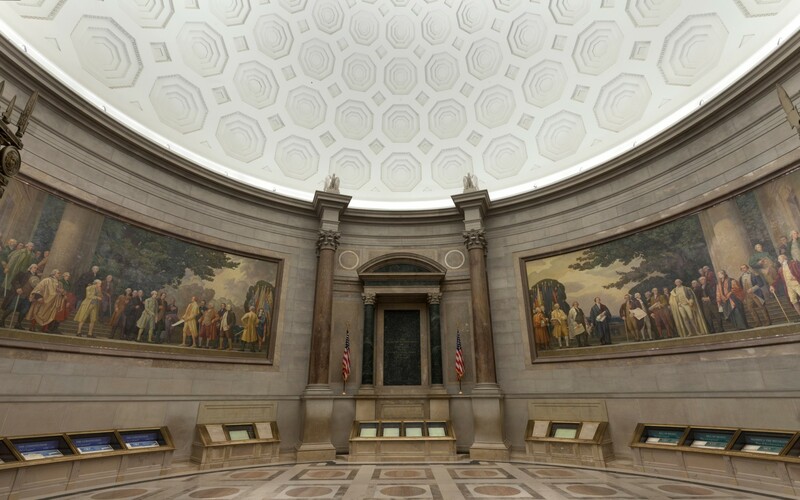 The Rotunda for the Charters of Freedom (at the National Archives and Records Administration in Washington, DC) is no ordinary museum space. 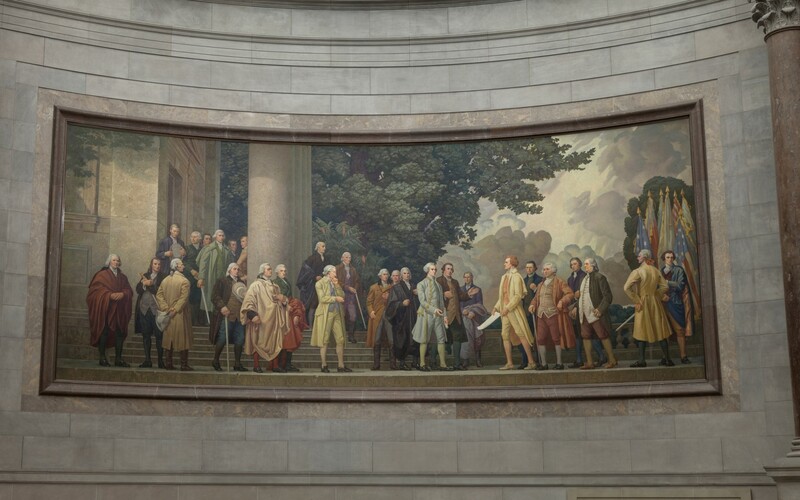 Home to the Declaration of Independence, Constitution and Bill of Rights, the Rotunda's artwork and artifacts document the very birth of the nation, representing ideals that have been central to American life for over two centuries. The Rotunda's lighting system, however, had failed to measure up to these lofty standards. Based on fiber optic spotlights with 150 watt metal halide illuminators, the original system had grown costly and difficult to maintain - with light quality struggling to keep up with conservation standards. 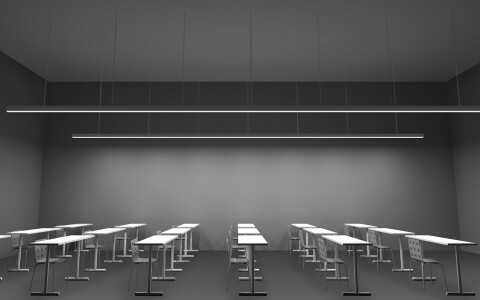 Design firm Available Light was engaged to develop a modern, flexible lighting system, which could also adapt to increasingly stringent requirements. "Our goals were to improve color rendering on these precious artifacts and spare the artwork from harmful UV emissions. 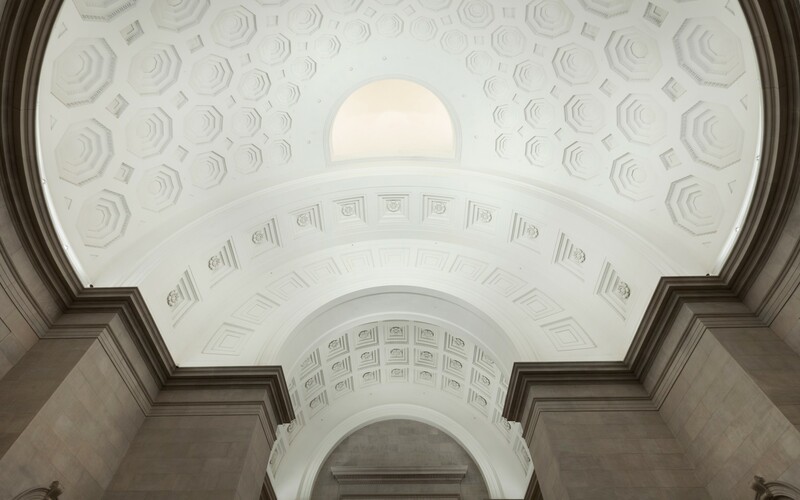 We also wanted to lighten the maintenance load, and provide dimming so that lighting could be fine-tuned for an ever-evolving exhibition space," said Steven Rosen, principal at Available Light. 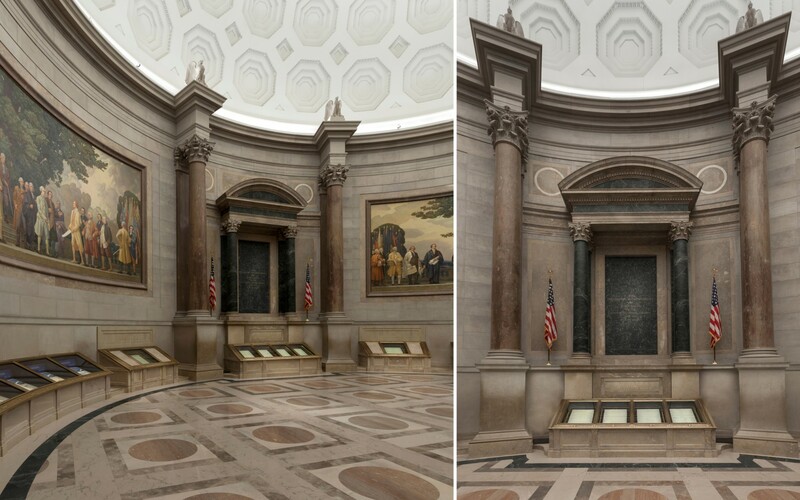 Lighting America's most priceless artifacts, however, required adhering to an extremely demanding set of criteria, which balanced visitor expectations with conservation goals. After an exhaustive selection process, Available Light chose Lumenbeam Medium luminaires with a custom color temperature and a very high CRI above 93. "To bring out the true colors and innate quality of the documents, murals and architecture, this project required truly excellent spectral quality at a very specific color temperature. We determined that a custom 2850K color temperature and a CRI above 93 were critical…and Lumenpulse were the only company that could customize luminaires to meet these strict performance criteria," Rosen said. 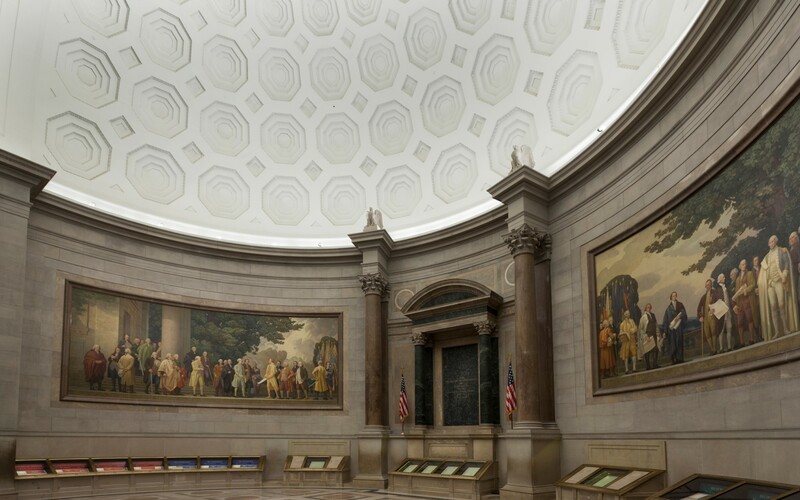 The Rotunda's two large murals are each lit from opposing sides with five Lumenbeam Medium luminaires. Mounted on the ledge above the artwork, the luminaires are finished in white to blend into the background. 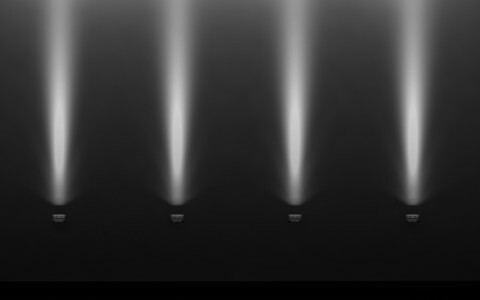 "The Lumenpulse luminaires eliminated light bleed beyond the beam angle, which was critical. Stray lighting would have diluted the drama and elevated light levels at the document cases. By eliminating this light bleed, we maximized illuminance at the floor level with the indirect lighting, while still maintaining 0.9 footcandles at the document cases. This is much brighter than it was previously, and conservation criteria for the documents have been improved," Rosen said. Lumenbeam Small luminaires are also used as controllable accent lights for temporary exhibits displayed in the main rotunda. "The system was initially designed to provide 500% of the target illuminance. So as the light output of the diodes depreciates over time, the dimming levels of the luminaires may be raised to maintain the target light level. 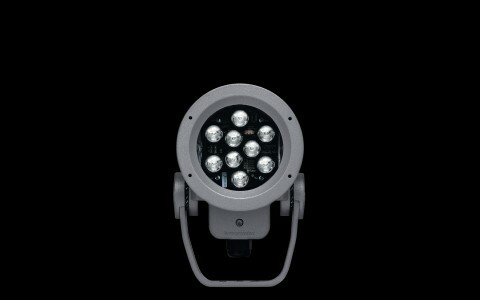 This means that the luminaires will not need to be replaced until they reach L20, as opposed to L70," Rosen said. 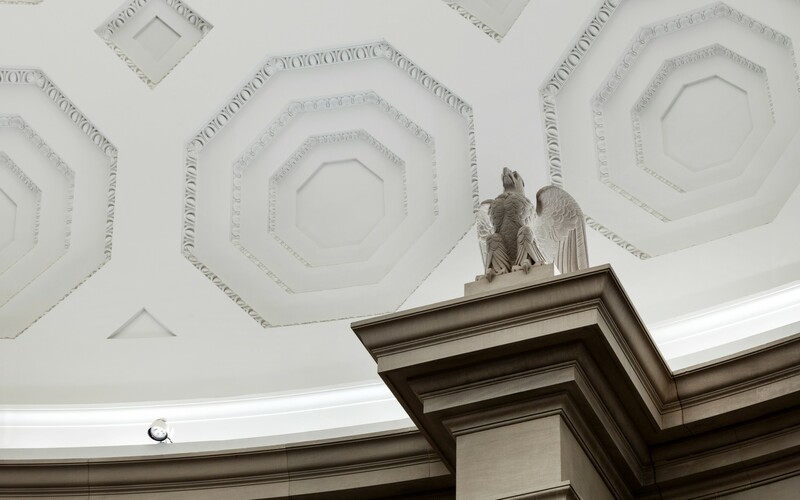 What's more, the new LED system represents an 84% reduction in energy consumption, requiring 4,700 watts at full intensity and only 1,800 watts at its current dimmed state - this while providing a brighter, more comfortable viewing experience for the Rotunda's visitors. "We have heard some complaints from the maintenance staff," Rosen said. "The improved quality of the lighting has revealed previously unseen dirt and water spots, which they now have to clean…"